Somewhere between the bottom of the climb and the summit is the answer to the mystery why we climb. 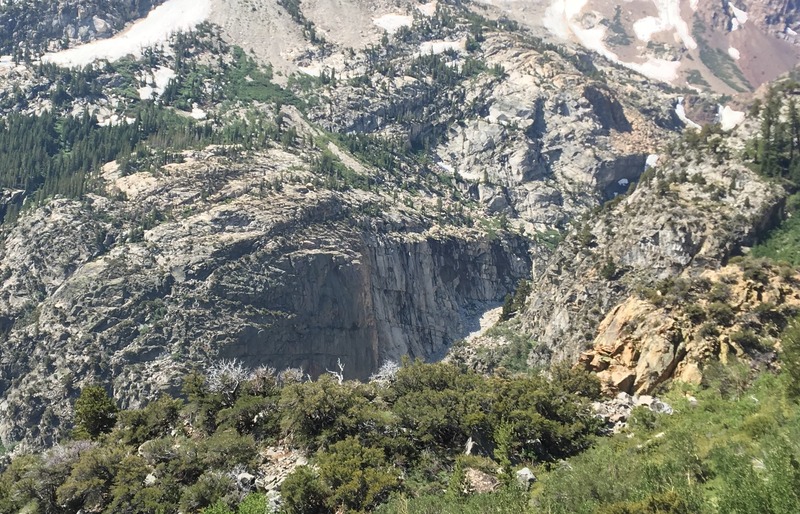 Mt Dana’s monolithic North East Face. 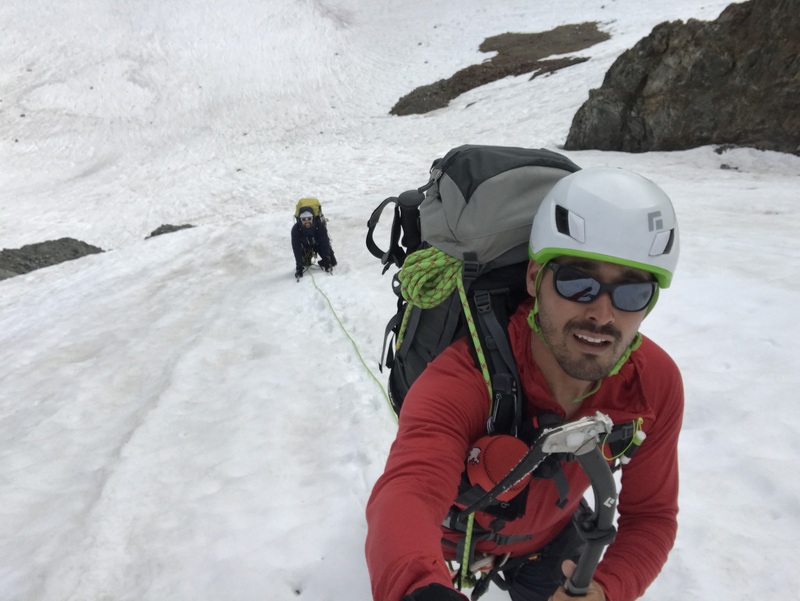 In July 2017, Ross and I were training to climb Mt Rainier via Kautz Glacier and were looking for a few practices climbs in the Sierra Nevada. 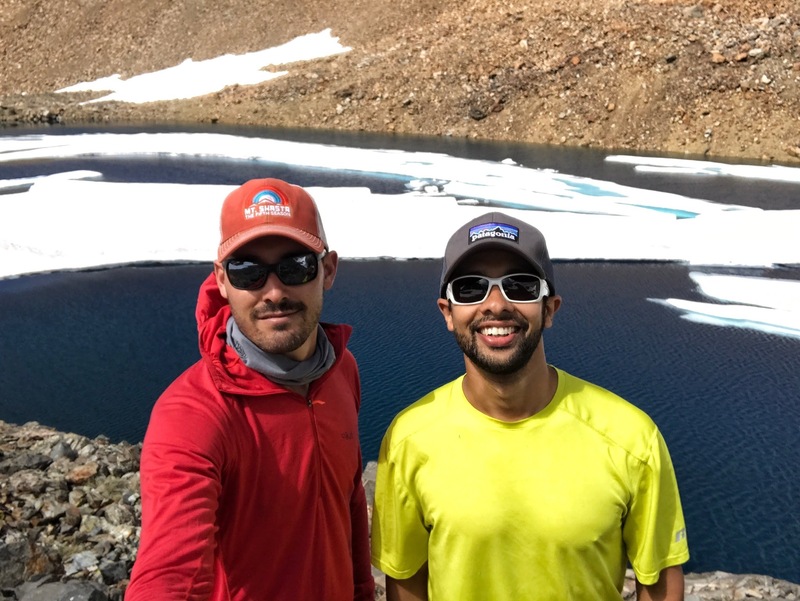 Due to its convenient location in the Eastern Sierras, the existence of an ice chute and a near 14,000 feet altitude, Mt Dana turned out to be the perfect training ground. 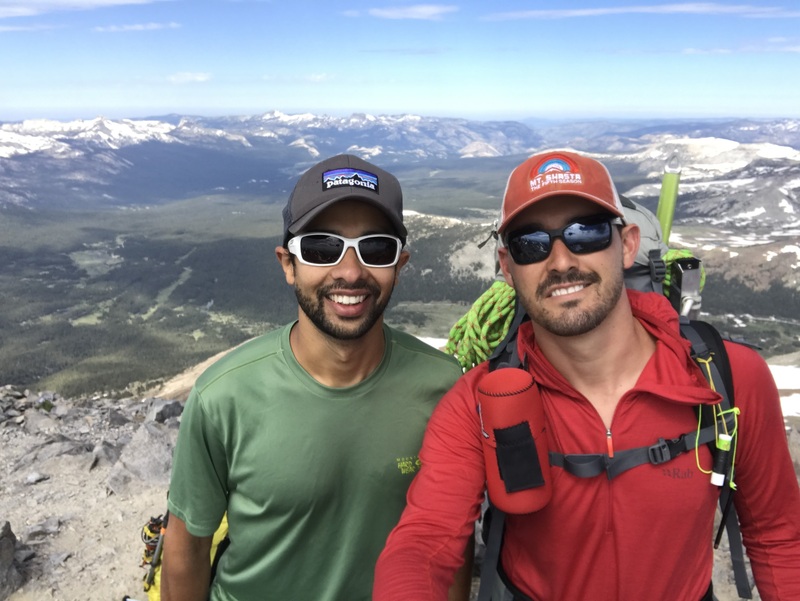 Along with it being a good training climb, I personally also wanted to summit Mt Dana as I had to turn around on Mt Dana during our last attempt on the mountain because of a poorly planned climb. Ross and I met up early on Saturday at the Whoa Nellie Deli. 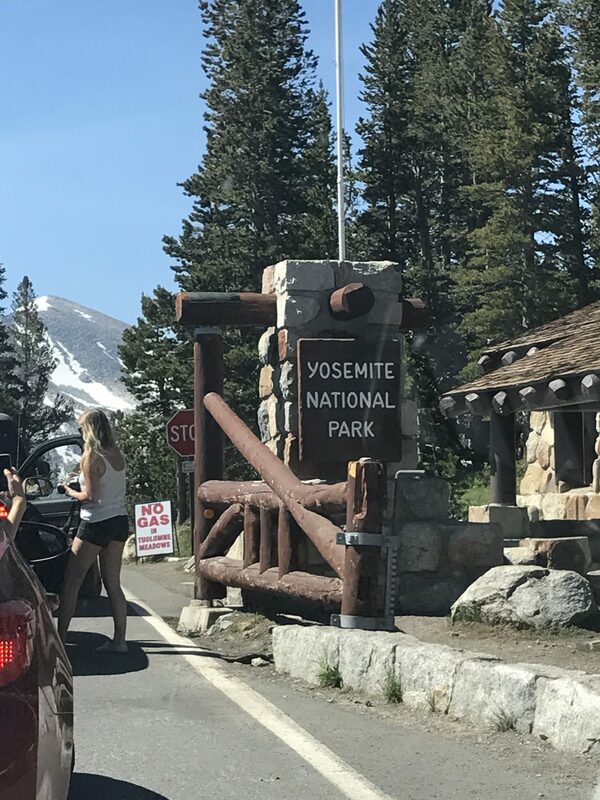 After a filling breakfast, we drove into Yosemite National Park and started climbing about midday. 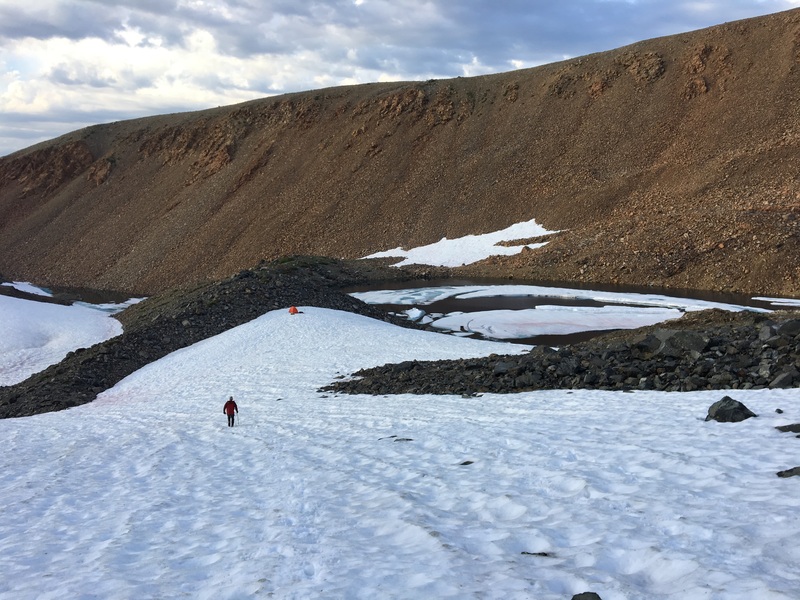 The hike to the base of Dana couloir is a short one but with the hot weather, it took us longer than we thought, to make it to the base. 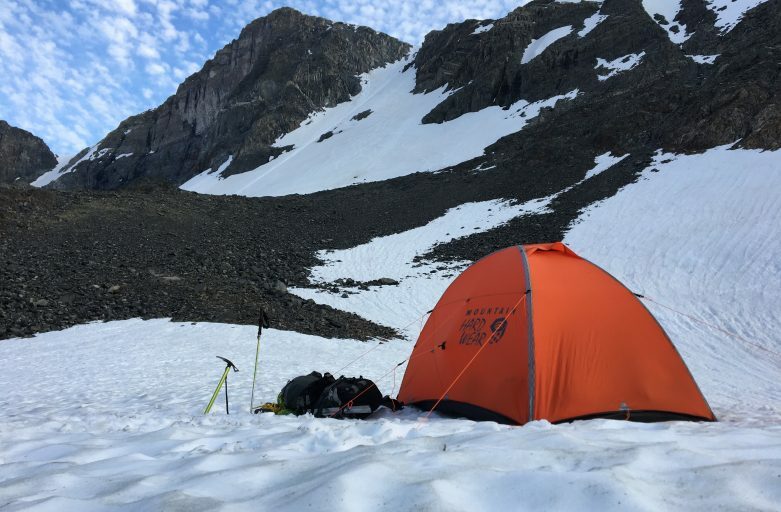 We decided to set up camp on Dana glacier where we rested and hydrated. 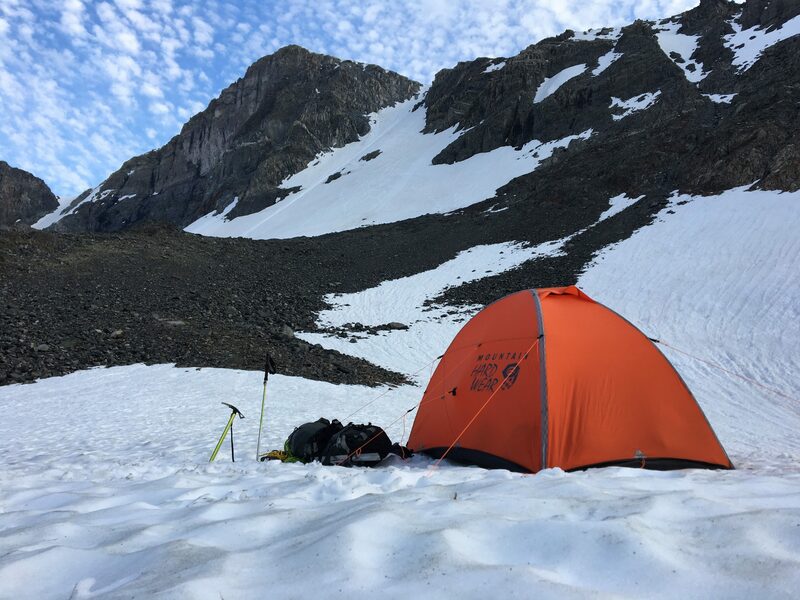 Next morning we got up at first light, packed up camp, as we were planning on going up and over the mountain with all our gear. The bergshrund at the base of the couloir was easy to cross. The couloir itself had good firm snow and neve but hardly any ice. 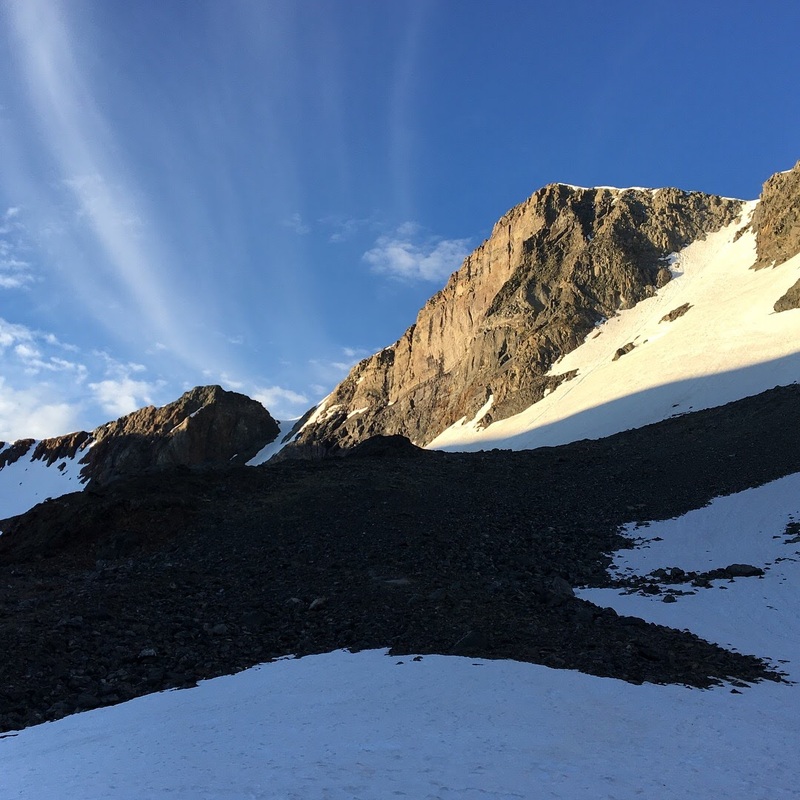 We made it to the top of the couloir in less than an hour and to the summit in another hour. 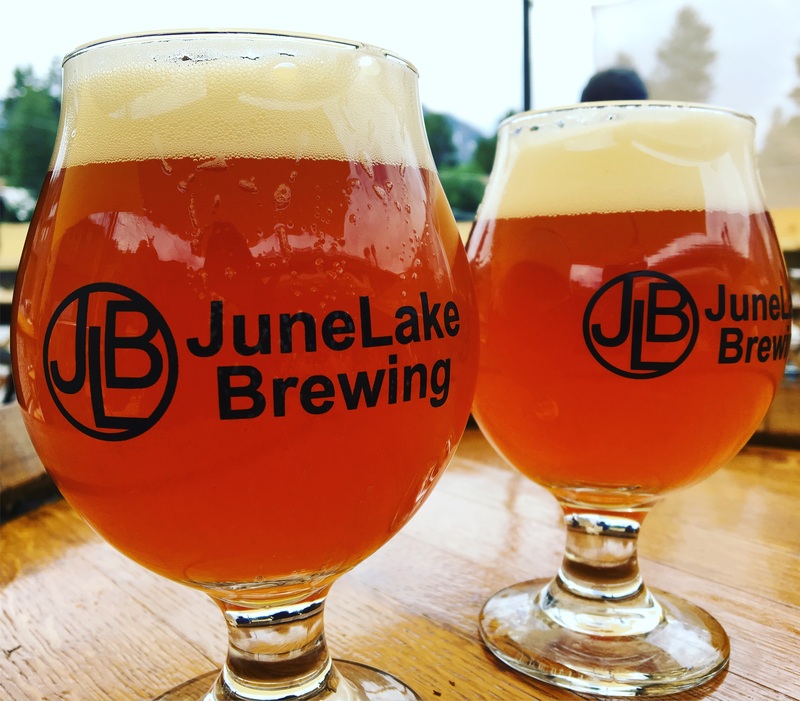 We then descended down the west slope of the mountain, back to our car and then headed straight to June Lake Brewery for post-summit IPAs. 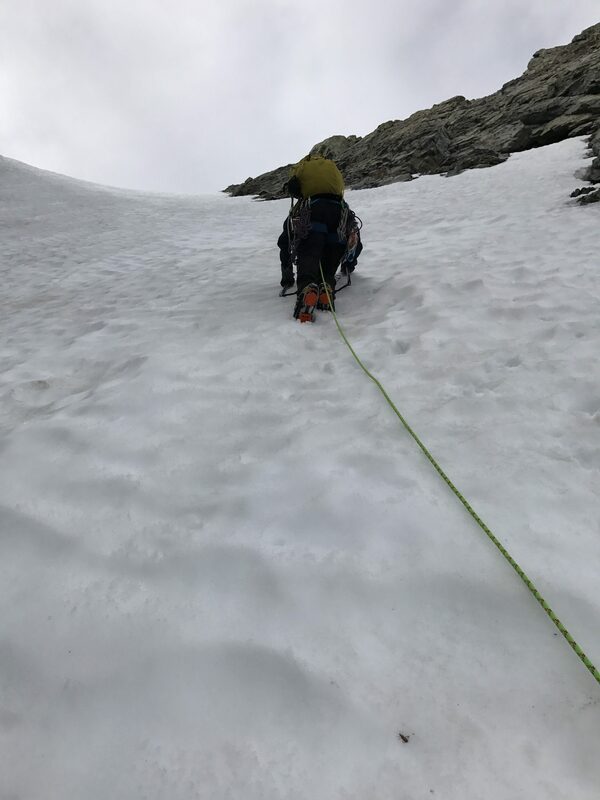 Climbing Mt Dana via the Dana Couloir was a great training climb and helped us understand the importance of a light pack!